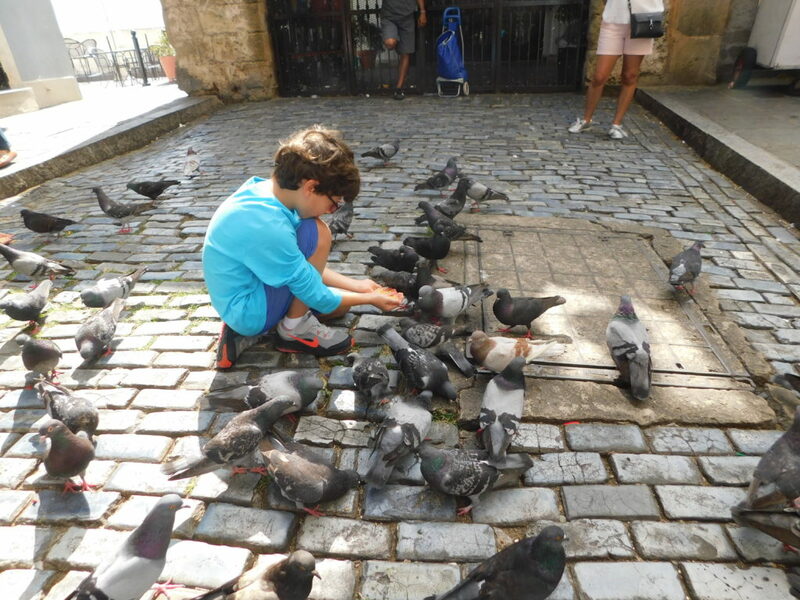 I was looking at pictures of my recent trip back home to Puerto Rico and I came across this one, where my son is feeding the pigeons in Parque de Las Palomas (Park of the Doves), one of the most iconic spots in Old San Juan. It’s been a while since the last time I fed a pigeon, or a duck or fish at the park along the river, for that matter. Yet the sense of wonder in children when they meet with nature is so refreshing. No doubt my calendar is full of things to do, emails to write, articles to read and phone calls to make. But I’m reminding myself of the importance of doing more of the things that feed my spirit. I’m looking at things a little differently today, perhaps just like my son was looking at the pigeons on that sunny day in Old San Juan. When it comes to activities that I want to do by myself, or things that I plan to do over the weekend with my son, it’s good to add an element that slows me down and brings me back to the now: being with nature takes me to the place of free-flow, where I can breathe, and take it all in. In my book, Anxious Mom, Anxious Child: A Mother’s Journey from Anxiety to Serenity, I talk about the importance of spending time with nature. Calendar aside, today I’m reminding myself to feed my mind with inspiring words, new ideas and beautiful images, and also to feed my own sense of WONDER.